In my opening review I had already ripped the Skorpion apart - I tend to be impatient like that. It's known. But the final conclusion hasn't changed, though I do have a mostly working Skorpion now, and I'm good with carrying it day to day. 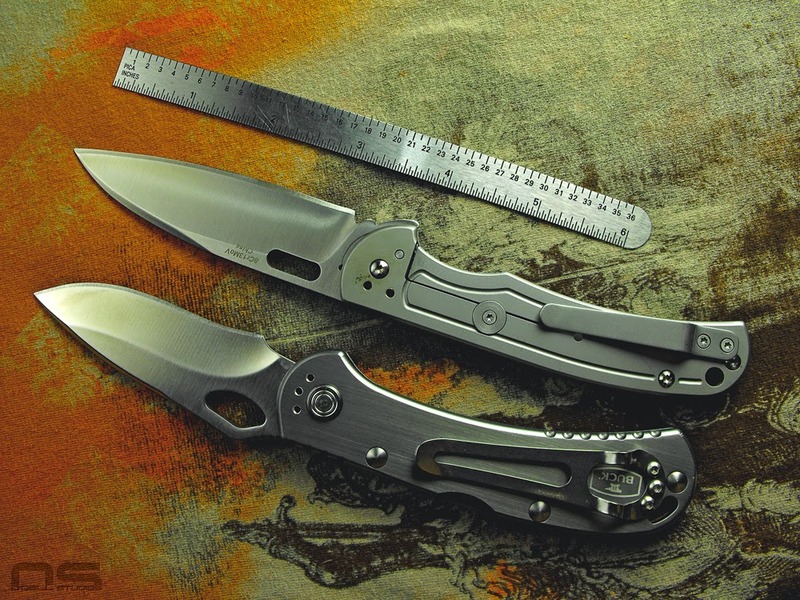 A.G. Russell seems to like his knives slim and light like a lot of other folks that carry a knife and in keeping with that theme even the screws have to be skinny. I guess you would describe them as button head screws but the heads were made thin so that they almost sit flush with the handles. Similarly, they are very short and I couldn't find any screws that were short enough to begin with. 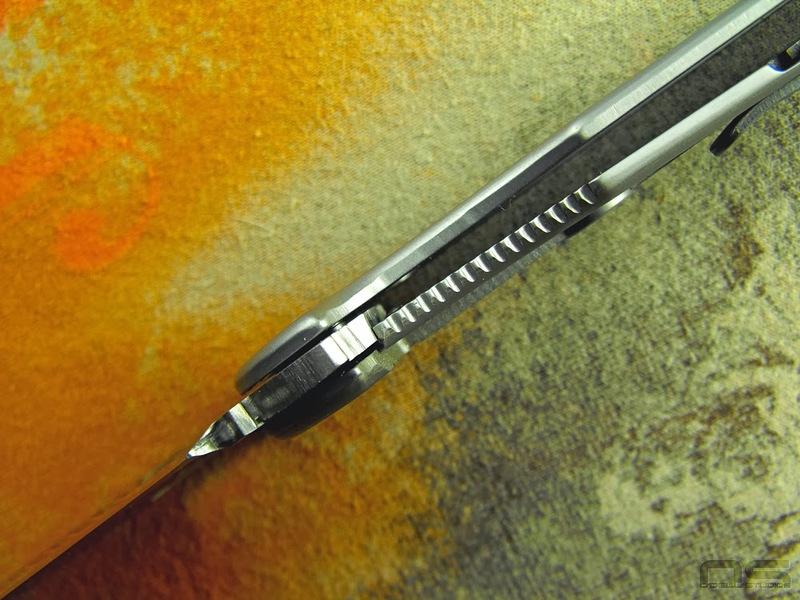 You will find from my initial review that the pocket clip partially covers one of these screws and because they aren't perfectly flush, the clip isn't either. The chubby screws I have access to weren't going to cut it. I did get it all back together though and in the process improved the blade centering and to some degree the sticky lock bar. I actually just torqued the lock bar back a bit which does cause it to lock up sooner but if it's a bit too soon sometimes there is just a whisker of up and down blade play. It's not ideal and it is a factory defect that should not have been acceptable for sale. In the end though, this is a light duty EDC blade and I would like to believe lock up is correct on their first quality products. So all in all, I had to turn my screw heads down by putting them in my Dremel and hitting them with a file. The Dremel isn't exactly a lathe and I am sure it doesn't turn perfectly round, but they look pretty good. I also half polished the insides of the handles where the nylon washers sit. The sort of bead blasted finish covers the handles inside and out, detent ball and all. I expect that caused some friction worth getting rid of and the blade does open and close smoothly now, if still a little stiff. Pics. The pocket clip layout is weak, especially when it covers up a screw head. I think it would have been cool to see that standoff screw be incorporated as one of the pocket clip screws. Yes, it would have to be longer and lefties would have to switch screws around, oh well. The only factory screw in good condition was salvaged so that the pocket clip could be attached. My screws are too fat. I just polished it to match the rest. I don't like seeing the detent and I think the stop pin should have been hidden. It is the pin you see below the pivot screw. The brown crud was a bonus with this purchase and won't come off without enough elbow grease to also remove the finish. Can you also see that weird dip in the blade by the thumb hole. It's barely there but shows up in this image. This is probably about where the lock up should happen but the lock bar does wiggle a little while open. You can also see some less than amazing machine work going on in this shot. I guess I just don't understand the deep pocket clip idea. It adds thickness to a thin knife and looks odd to me. It goes with the garbage hardware. Also, they didn't flare the end of either clip enough to easily catch the pocket. So today I am getting ready and standing there struggling to get the thing to go into my pocket - kinda annoying but one of those things where you "learn" how to use a new purchase. The bottom line is the same here. 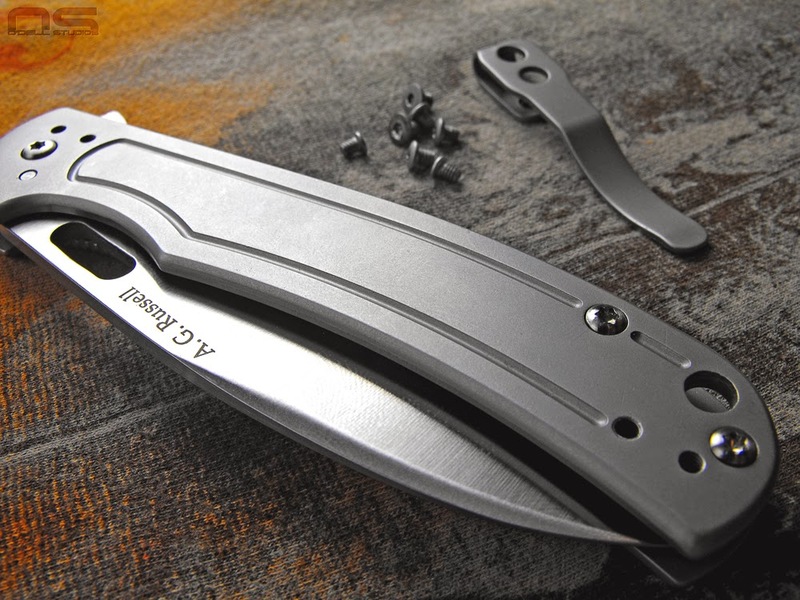 I keep saying this is a $40 knife, but I'm not forgetting that a US made Buck Vantage Avid with better steel is also $40, or the Boker Plus Titan with titanium handles and similar steel is also $40. So for $75, this should be made in the US with at least an upgrade in steel and sorted out design. 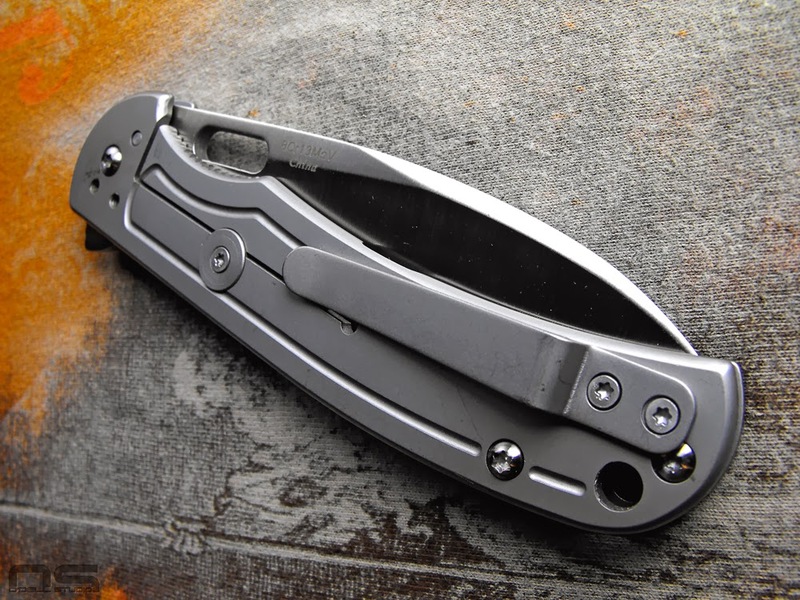 Update 2/13/2014: I've carried my Skorpion around a few days now and it's fair to say that I keep giving this knife more blog time than others because it's so close to being a great product and regardless of the problems, I do like it. I've had it apart a couple more times, tweaking the lockup, the centering and the action. I criticized the pillar-as-pivot for not offering much adjustment. I would guess that a folder made with good tolerances needs very little wiggle room and I believe that is true with the Skorpion. One benefit that I theorize comes from this design is the ability to adjust from both sides of the handle. You are able to tighten a little on one side, flip it over and tighten a little from the other side. So with the bit of polishing I did to the inside of the handle, applying a little grease, tweaking the lock bar and patiently making miniscule pivot adjustments I have perfect blade centering, good smooth action, and solid lock up. The lock up is probably still a little late in order to eliminate blade play, but it's around 75% and there is no stick. Originally the bar moved so far over that it was centered on the blade - 100% of the bar touched the blade. What does this mean? It means, it works now. The detent is strong, so you do have to put some finger behind it to flip it open but it is smooth and feels like any of my other knives. The Skorpion also has a distinct and satisfying sound to it. It's difficult to describe but it's quiet. You hit the flipper and with a quiet tick, it's open. 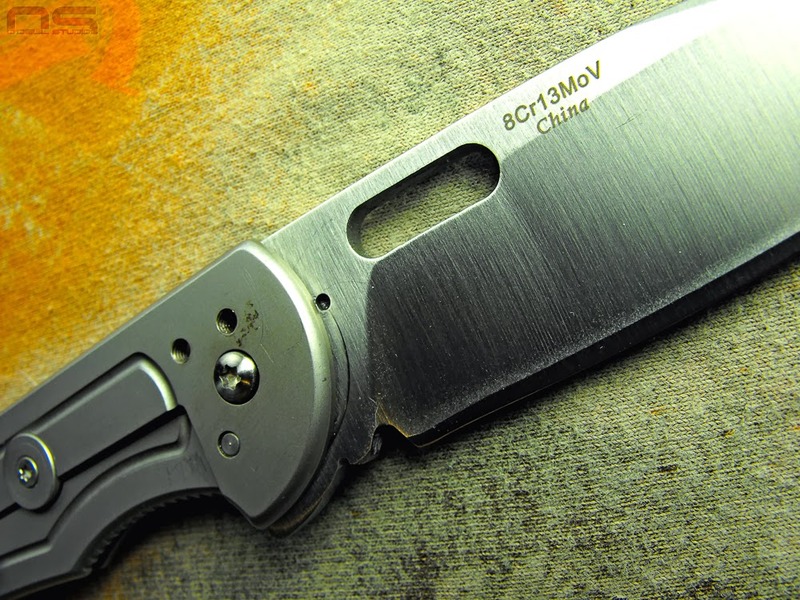 It would be such an awesome knife with a few touch ups in design and value.